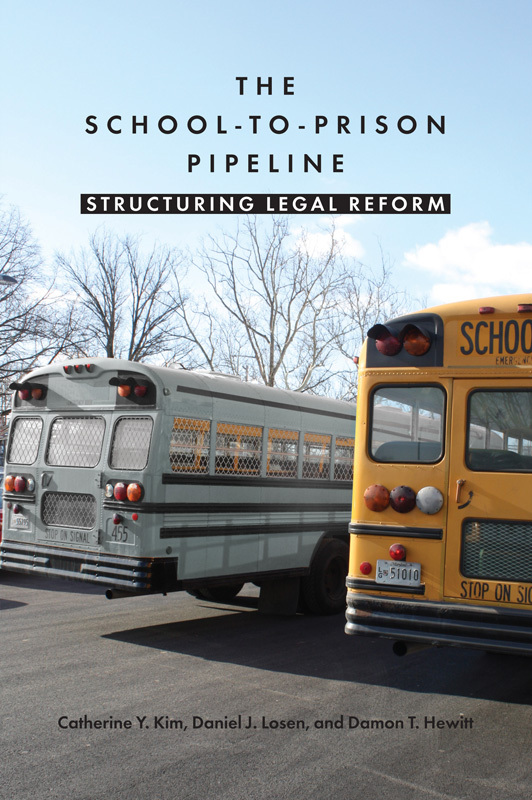 The School-to-Prison Pipeline presents the intersection of a K–12 educational system and a juvenile justice system, which too often fail to serve our nation’s at-risk youth. In many cases, these failures are attributable not to the children themselves but rather to deficiencies in the institutions charged with caring for them. For the past several years, policymakers, educators, academics, advocates, the media, and the public at large have paid increasing attention to these deficiencies—at the national, state, and local levels—which disserve our youth by reducing the likelihood that they will remain in school and ultimately graduate and instead increasing the likelihood that they will become involved with the courts and ultimately be detained or incarcerated. At its core, the pipeline results from the failure of public institutions to meet the educational and social development needs of a large segment of the children they are charged with serving. Toward the front end of the pipeline, the denial of adequate educational services sets up many students for failure. Overcrowded classrooms, racially and socioeconomically isolated environments, a lack of effective teachers and school leaders, and insufficient funding for “extras” such as counselors, special education services, and even text- books lock too many students into second-rate educational environments. These deficiencies increase students’ disengagement and the likelihood of their dropping out and later becoming involved with the courts. Even worse, some schools may actually encourage dropouts in response to unintended pressures from test-driven accountability regimes, which create incentives to push out low-performing students to boost overall test scores. Unfortunately, the youth who suffer disproportionately from these practices are likely to be precisely those who need the most support, including low-income students, students of color, English language learners, homeless youth, youth in foster care, and students with disabilities. And, of course, many students fall into more than one of these categories.